When we moved the kids from bucket car seats into their convertible car seats I didn’t get nostalgic. Those bucket car seats are heavy, and my babies were gigantic. When we moved the kids from cribs to toddler beds, I didn’t get all verklempt. I mean I was bone tired because my children were no longer contained at night, but I didn’t shed a tear. Tossing out the bottles, placing my last order of formula, recycling the last diaper box… Not sad. 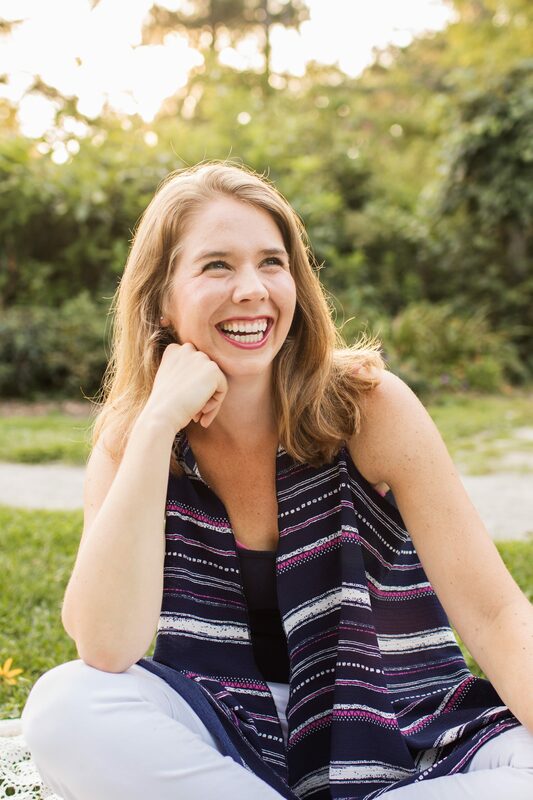 My kids were growing up, and I was loving their independence. As a fairly emotional person, I found it strange that I didn’t get weepy as my kids transitioned from the baby stage to the toddler stage. By all social media accounts I was supposed to. Where was my maternal feeling of time whizzing by too fast? Was I made of stone? But then came the glider. 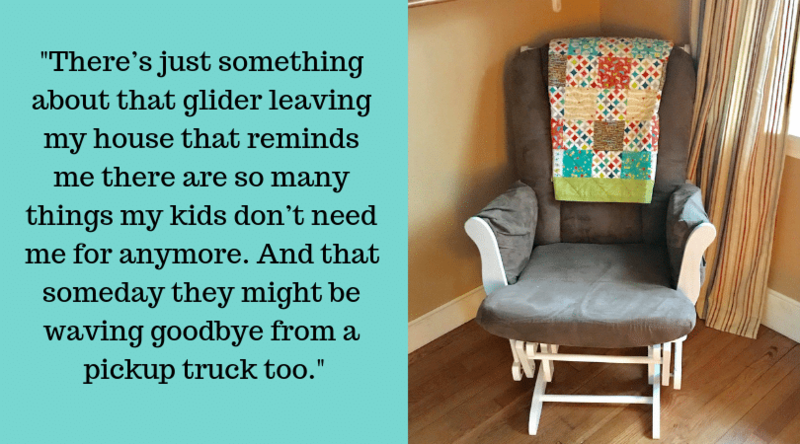 The glider that we bought before my son was born, before we knew what we were getting ourselves into. 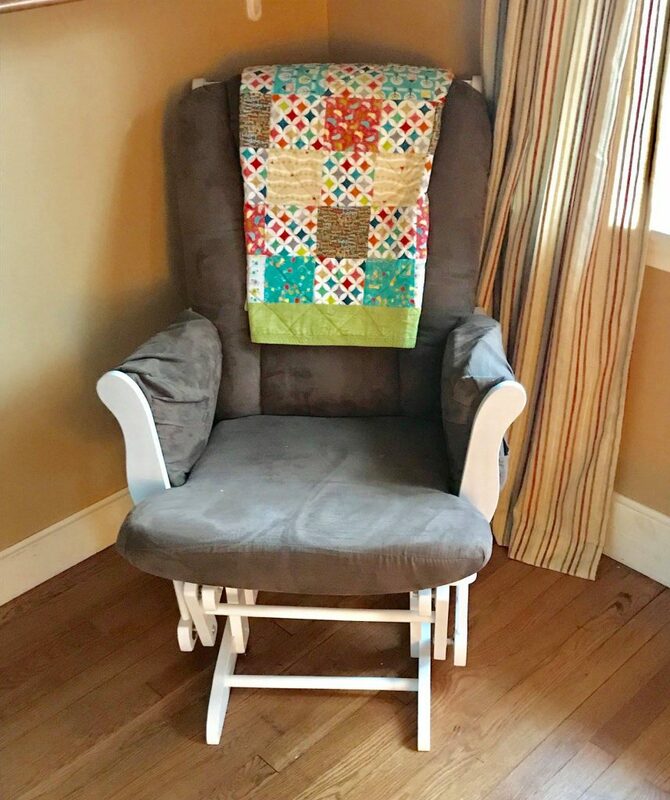 The glider that we moved into my daughter’s room, when we had a little more insight into what nighttime feedings looked like, and knew to hide some snacks in the armrest pockets. The glider that we rocked both our babies to sleep in. That we read stories in. That we fell asleep in more than once as we learned what giving all of yourself to a tiny human was all about. We don’t need the glider anymore, I get that. The kids like to read their bedtime books on the couch. Their rooms now each have a pop up tent, toy chests, and bookshelves. The spot we moved the glider to downstairs in the living room is now occupied by a Lego table and tiny arm chairs, that are also almost too small for them already. It’s wonderful that my babies are growing up. I love seeing them learn and grow each day. It’s also sometimes maddening to watch my babies grow up, like when we get hit with some little kid sass or a “I want to do it myself” fit. Those are fun. But man, there’s just something about that glider leaving my house that reminds me there are so many things my kids don’t need me for anymore. And that someday they might be waving goodbye from a pickup truck too. I never expected to wax poetic about a chair. 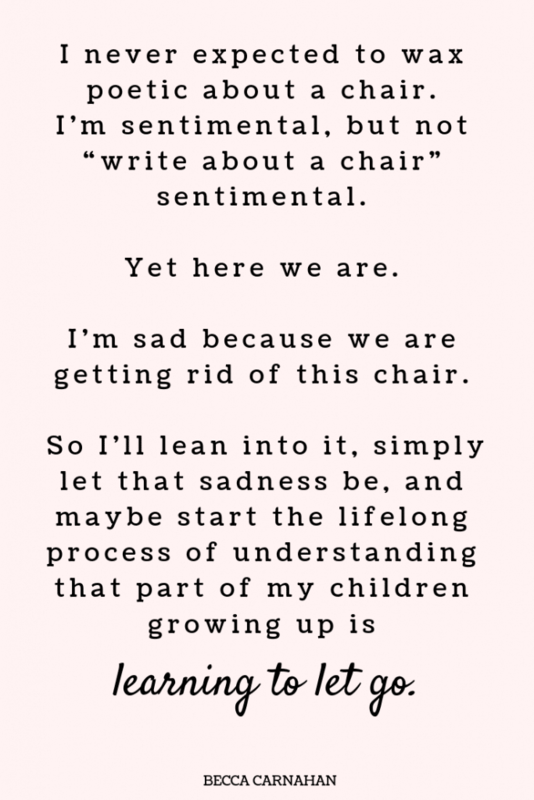 I’m sentimental, but not “write about a chair” sentimental. Yet here we are. I’m sad because we are getting rid of this chair. So I’ll lean into it, simply let that sadness be, and maybe start the lifelong process of understanding that part of my children growing up is learning to let go. Follow With Love, Becca on Facebook. So little sleep, so many cuddles! Aww <3 This is why we have the world's crappiest recliner in our living room. It was fake leather, so it is cracked and peeling really badly in spots, but we rocked both of our babies to sleep in it, so I can't bring myself to cast out the eyesore. At least it's comfy. Aww. 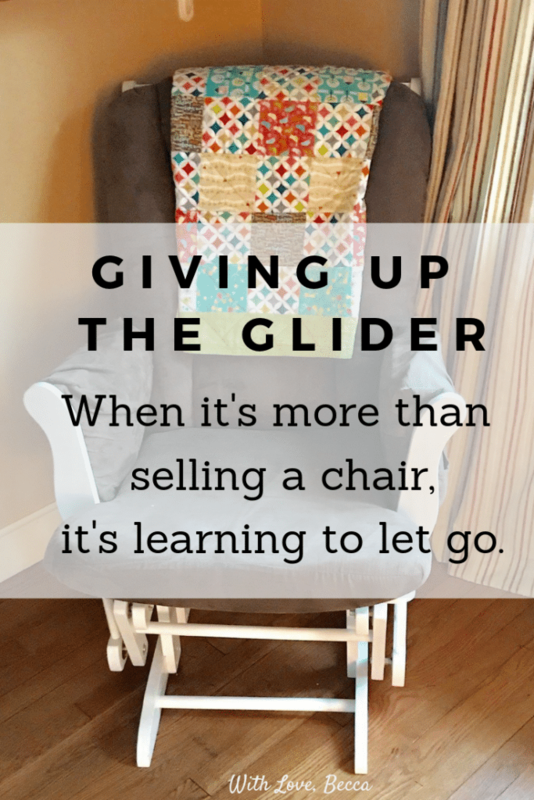 Our glider is from when I was a baby, so I’ll probably end up moving it into the nursing home with me 🙂 I’m with you on this though – it’s hard to admit those baby years have come to an end, and frightening how quickly they seem to be growing up! UGH! Feelings! Maybe I should have kept it… oh those baby years.